When clients come into HTS, they usually are wearing some sort of traditional running shoe. Sometimes, they will be wearing special, extra-thick soled walking shoes like Sketcher Shape-Ups. Which, I immediately tell them is a poor choice. Minimal-soled shoes, not traditional running shoes, are your best choice for strength training. Why use minimal-soled shoes for strength training? 1. Less cushion between your foot and the ground. 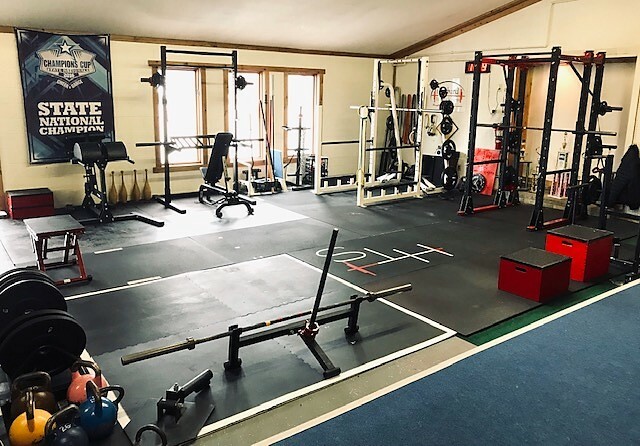 For exercises where you really need a solid connection to the ground (squatting, lunging, deadlifting, etc), extra cushion adds more instability. Minimal-soled shoes provide a more stable surface and a better feel of the ground with your feet (which have almost as many nerve endings as your hands). 2. Lower heel. Traditional running shoes can have an elevated heel relative to the front of the shoe? This shifts forces to your knees and front of feet with most movements. A minimal-soled shoe heel is not elevated and therfore, it is easier to "root to the floor" with your heel. 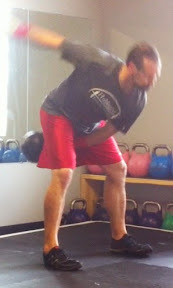 This shifts forces to your heel and hips, thus improving lifting biomechanics. 3. More toe splay. With traditional shoes, your toes get squished together (especially when the elevated heel pushes all the pressure on the toes). 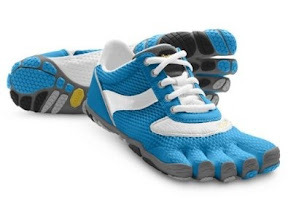 Minimal-soled shoes (especially the Vibram Fivefingers with their individual toe pockets) allow for more toe splay, which increases stability. Not only do minimal-soled shoes enhance stability and biomechanics during strength training, they also allow the muscles in the feet and lower leg to strengthen. If you've been relying on thick soles and arch support your entire life, chances are your feet muscles and lower leg muscles are very weak. And you've likely have lots of aches and pains because of this fact. Walking and strength training in minimal-soled shoes can be an effective way to strengthen these muscles.